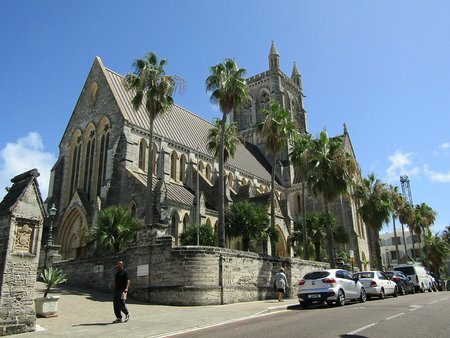 Located in the heart of Hamilton City, Bermuda Cathedral, also known as the Cathedral of the Most Holy Trinity is an Anglican church. The present structure of the church that earlier went through several constructions and renovations, has been designed by the Scottish architect William Hay of Edinburgh based on neo Gothic or Victorian architecture. While the main body of the church is made of Bermuda limestone, many of the carved stones around the windows, arches, gables and cornices are Caen stones imported from Normandy, France. You can see magnificent tinted glass windows, arches, warrior chapel and carved altar screens. Perhaps the most dramatic area in the church is the wall behind the alter, where there are sculptures depicting Christ and many saints. The saints are the ones after who the various churches in Bermuda have been named like St. Paul, St. George, St. Andrew etc. The first cornerstone for the church was laid in 1844. However, the construction got delayed for various reasons. An arsonist destroyed the church in 1884 by lighting it with fire. It caused the construction to start all over again. Finally work started in 1886, completed in 1905 and consecrated in 1911. There are daily services held in the church and visitors are welcome. If you can, climb the 155 stairs and reach the top of 143-foot high tower. There are couple of spacious landings to take breaks. The panoramic view of Hamilton city and the nearby parishes are spectacular from here. If you look towards north, you will see Bermuda's North Shore. To the west you will see the City Hall, the Great Sound water area and even the Royal Naval Dockyard at a distance towards west. Towards east you will see the King Edward VII Memorial Hospital. And to the south of the Cathedral is Hamilton City's Front Street. Admission to the Cathedral is free. It's open from 8a.m to 5p.m daily. However there is a $3 admission fee for getting on top of the tower. The tower is open from Monday through Friday between 10a.m to 3:30pm. Church Street, Hamilton City, Bermuda. Phone: 441/ 292 4033. From the Hamilton Ferry or Bus Terminal, it's at a few minutes walk (about 550 meters). Come out of Hamilton Ferry, turn right on Front Street, take Cedar Avenue across the street, then turn right on Church street. While coming from dockyard, best is to take the direct blue route ferry to Hamilton (20 minutes) and then walk down to the cathedral. 2) Check out Pembroke Parish or Hamilton City for many other attractions in and around City of Hamilton. Holy Trinity Church was absolutely stunning. My husband and I renewed our vows there 13 years ago. We are so excited to be going back to Bermuda to celebrate a friend's birthday this summer. Just looking at the photo of the church brought back the beauty of that day and the unsurpassed views from the doors of the church. Can't wait to see Bermuda again! 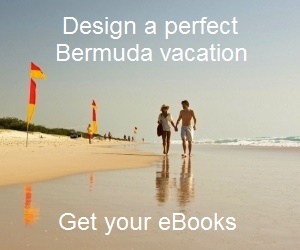 Hi, Bermuda Cathedral is on Church street and within walking distance from the Hamilton Ferry terminal (about 500 meters). Once you come out of the Ferry Terminal, turn right on Front Street, then left on Burnaby Street and then right on Church Street. You will see the Cathedral on the left.